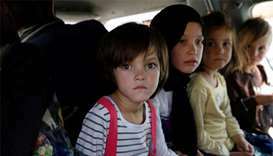 A prisoner swap in Yemen will take weeks and may involve the repatriation of third country nationals captured in the nearly four-year war being, a senior official of the International Committee of the Red Cross (ICRC) said on Tuesday. 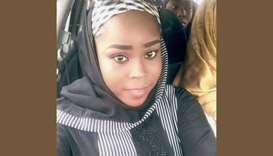 Islamic State-allied Boko Haram jihadists have killed another kidnapped female Red Cross worker in northeast Nigeria in a "despicable act of cruelty", the agency said on Tuesday, a month after militants murdered one of her colleagues. 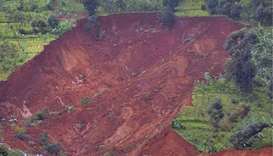 At least seven people were killed in a ‘massive landslide’ after heavy rains in eastern Uganda Thursday, the local Red Cross said. There was no immediate comment from the ministry of defence but officials in the area said nine police and 35 soldiers were killed in the attack. Fifty-six children were also among the 79 people wounded in the Thursday strike on Saada province, a rebel stronghold that borders Saudi Arabia. 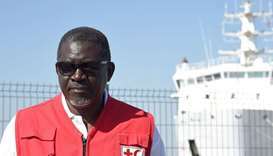 The head of the Red Cross urged European Union member states Sunday to follow Spain's example of welcoming a rejected migrant ship and ‘put into practice’ the humanitarian values promoted by the bloc. 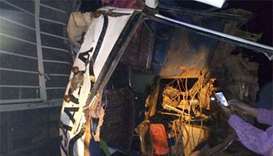 The accident was one of the deadliest in Uganda in recent years and happened on Friday night in Kiryandongo, about 220 kilometres north of the capital Kampala. Qatar Red Crescent Society (QRCS) secretary general Ali bin Hassan al-Hammadi recently met with Sri Lanka’s Minister of Industry and Commerce Rishad Bathiudeen to discuss joint efforts to enhance services for poor local communities. Providing humanitarian aid in war-ravaged Syria looks set to shift increasingly away from emergency, life-saving assistance towards rehabilitating devastated areas to help Syrians return home, the head of the Red Cross said Wednesday. 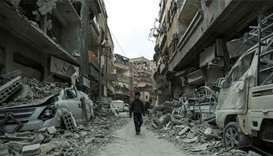 The Syrian army has retaken nearly all the farmland in Eastern Ghouta under cover of near ceaseless shelling and air strikes, leaving only a dense sprawl of towns still under insurgent control. 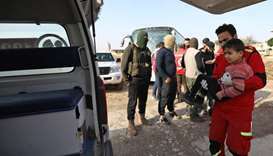 Aid workers have begun evacuating emergency medical cases from Syria's besieged rebel bastion of Eastern Ghouta, the Red Cross said on Wednesday, after months of waiting during which the United Nations said at least 16 people died. 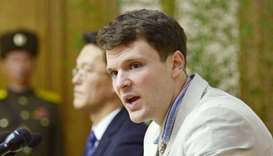 Washington's ban on US citizens travelling to North Korea came into force on Friday, with the two countries at loggerheads over Pyongyang's weapons ambitions.